Bulb Knob brushes fit easily into small hands. 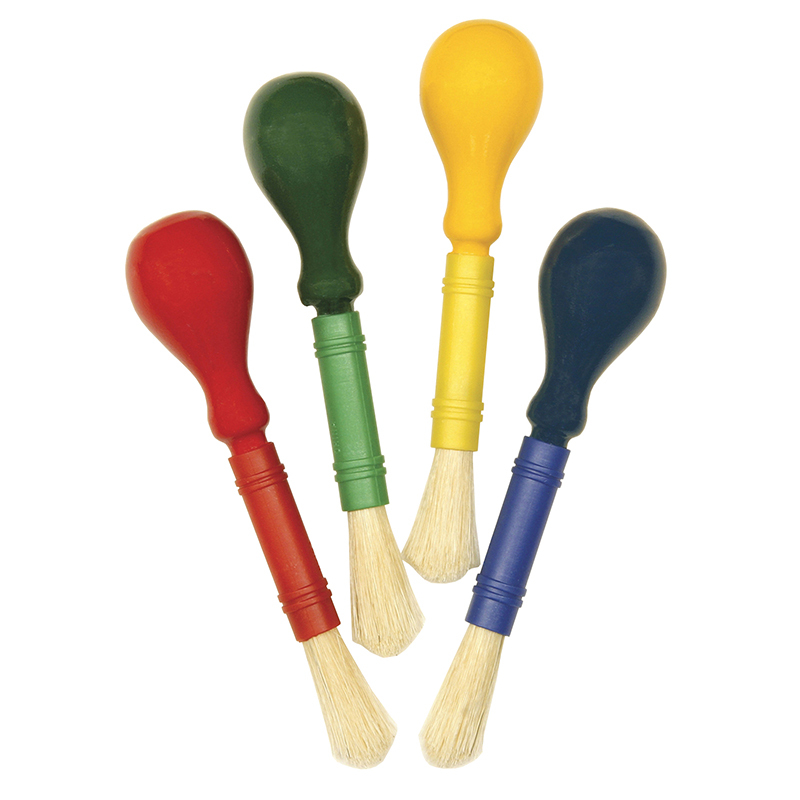 Each set in includes four bright colors with plastic ferrules. Bundle includes 6 sets for a total of 24 paint brushes. The (6 Pk) Bulb Handle Brush Asst Clrs4 Per Pk can be found in our Paint Brushes product category within the Arts & Crafts. Durable handles are easy for kids to hold, and easy to clean. 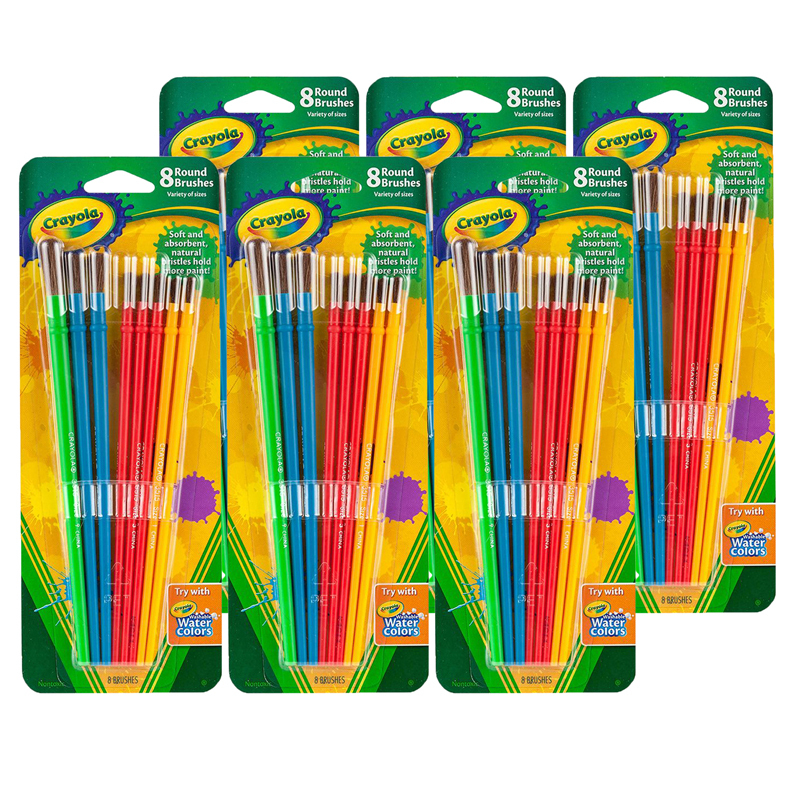 Each pack includes 10 pieces in assorted colors. 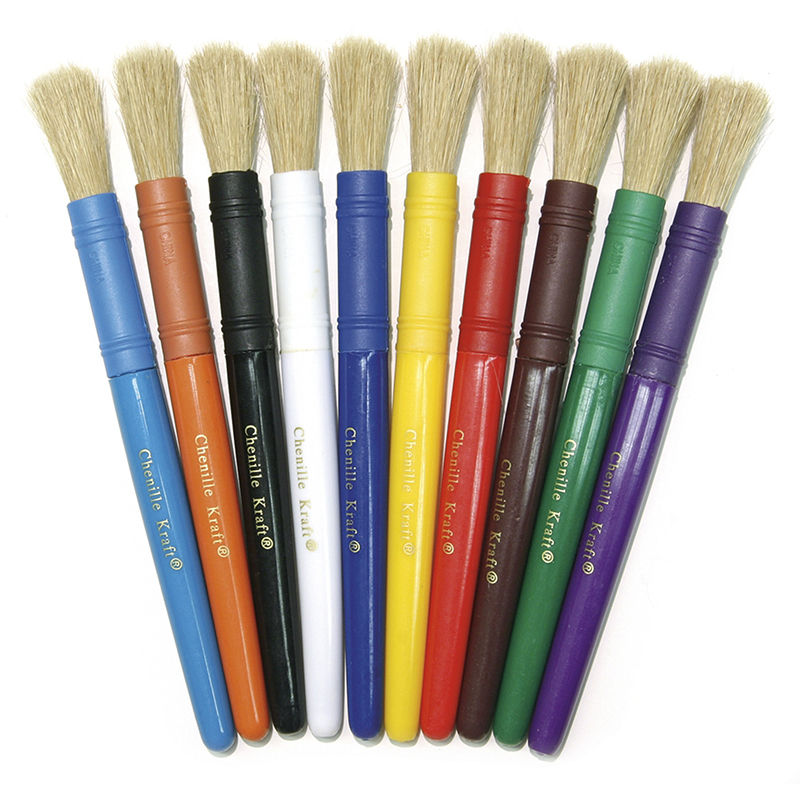 Bundle includes 6 packs for a total of 60 paint brushes.